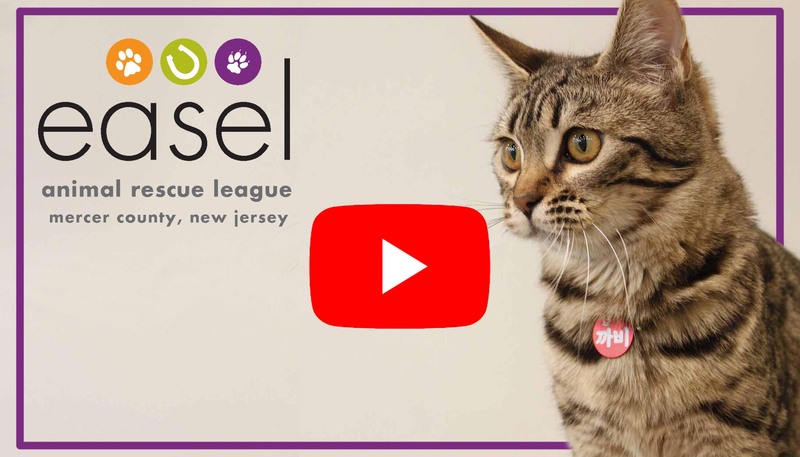 When you donate to EASEL Animal Rescue League, your contribution goes straight to work helping the hundreds of animals each year and reducing the population of unwanted animals in the greater Mercer and Bucks county region. We provide food, shelter, medical treatment and loving care until homeless animals can find their forever home. As a no-kill 501(c)3 non-profit organization, we are committed to helping each individual animal find a home that provides them with the respect and dignity they deserve. Take a moment to watch the video to the right to learn how and why your donation matters. When you donate, you give the gift of life for too many cats and dogs, kittens and puppies who found their way to us through no fault of their own. You enable us to provide the intervention necessary for them to have a second chance to live, love and be loved in return.